New clip from The Hero, which comes to UK DVD January 29th. "Movies are other people's dreams!" 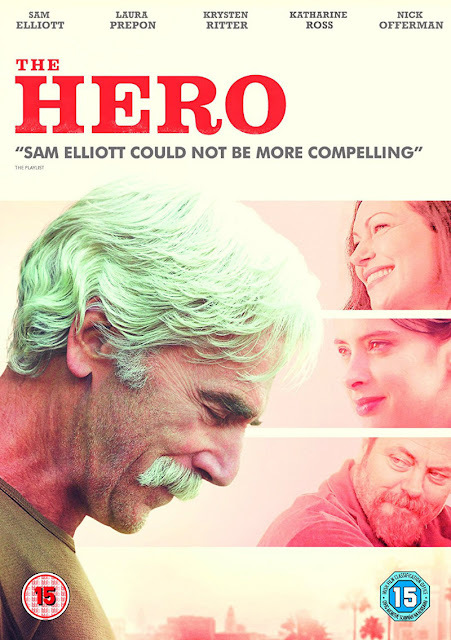 Universal have released a new clip from The Hero, in which Sam Elliott's aging former western star waxes philosophical over a few tokes with his old co-star (Nick Offerman). The Hero is on digital download now and DVD January 29th. Lee Hayden (Elliott) is a Western movie icon with a golden voice, but his best performances are decades behind him. 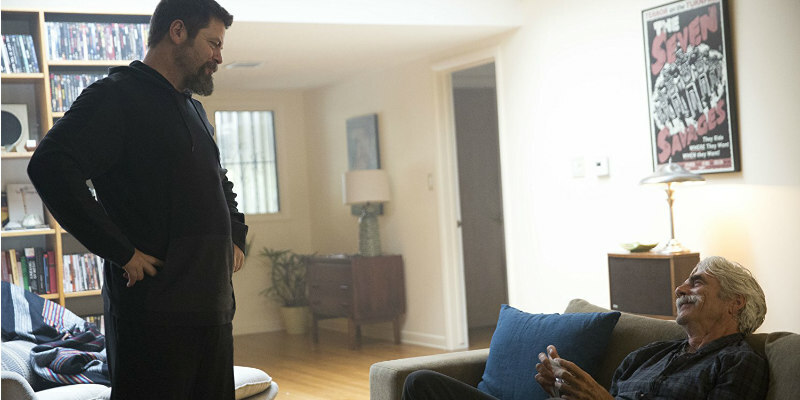 He spends his days reliving old glories and smoking too much weed with his former co-star-turned-dealer, Jeremy (Offerman), until a surprise cancer diagnosis brings his priorities into sharp focus. He soon strikes up an exciting, contentious relationship with stand-up comic, Charlotte (Prepon), and he attempts to reconnect with his estranged daughter, Lucy (Ritter), all while searching for one final role to cement his legacy.